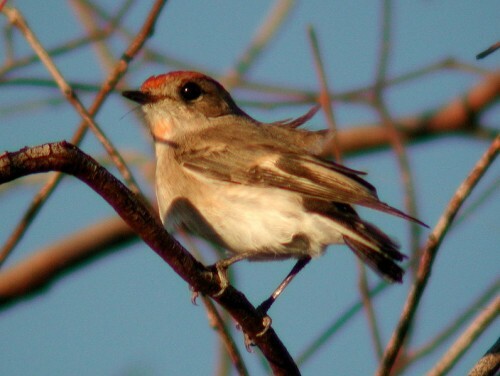 A small passerine bird that is native to Australia is the Red-capped Robin. It was first described in 1827 by Thomas Horsfield and Nicholas Aylward Vigors. Their specimens were found in the northern Spencer Gulf (now South Australia). Its epithet, goodenovii, is named after Rev. Samuel Goodenough who was the Bishop of Carlisle and the 1st Treasurer of the Linnean Society. 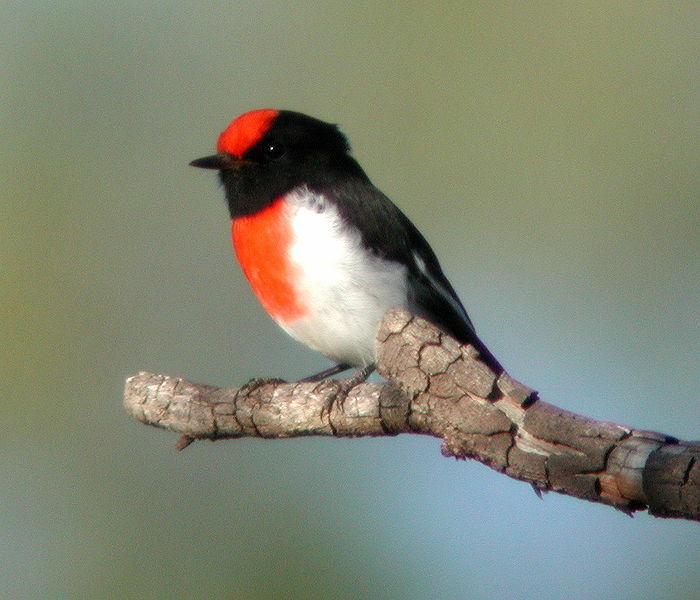 The Red-capped Robin is one of the smallest red robins. They are about 10.5 to 12.5 cm long and it has a wingspan of 15 to 19.5 cm. It weighs about 7 to 9 grams. Males and females are of similar size. 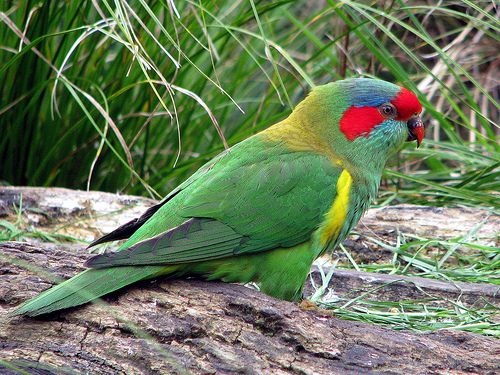 Males have a scarlet cap and breast, jet black upperparts, white shoulder bars, and a black tail with white tips. Its shoulder and underparts are white. Females are grey-brown above with a reddish tinge at its crown. It has a paler underneath with dark brown wings and a pale buff wing patch. 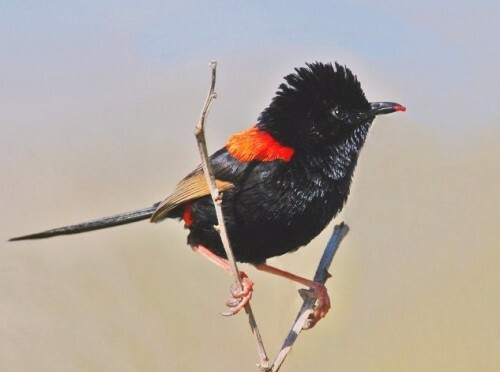 Red-capped Robins are found everywhere in Australia except for Cape York, Tasmania, the Northern Territory, and most of the Kimberley region in Western Australia. They also exist off-shore Australia such as Greenly and Pearson Islands, Rottnest Island, and Kangaroo Island. They prefer habitats of Acacia, Callitris, mixed woodlands, and mixed scrubland. Its prey includes feral cats and bird species. 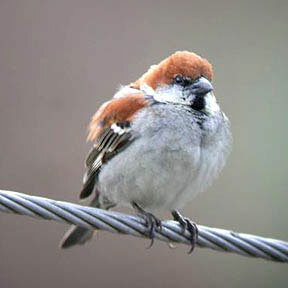 These bird species include Grey Shrike-thrush, Australian Raven, the White-browed Babbler, the Grey Butcherbird, and the Brown-headed Honyeater. They have adapted well to human change.